"Take time to enjoy life. Walk in nature, go to the movies, spend time with family and friends, do an activity that is fun in order to help relieve inner pressures and stress. Optimal health means achieving balance in your life and staying at your individual peak of wellness. In that respect, optimal health is the same for everyone. However, that may be the only aspect of optimal health that everyone shares. Optimal health for one person may not be exactly the same for any other individual since every human being is unique. As an example, for some people optimal health may mean experiencing no health problems, while for others it may mean taking some form of prescription medicine daily to manage a chronic health condition. For someone in their twenties, optimal health may mean feeling physically strong, sound and full of energy. But for someone in their eighties, it may mean having a comparatively pain-free day without any unexpected health problems. Good medical care - including annual checkups, keeping vaccinations current and treating health issues with medications as prescribed by the doctor. Taking advantage of the knowledge, training skills and advice of qualified healthcare professionals is mandatory for anyone interested in sustaining optimal health. There is no substitute for good medical care. 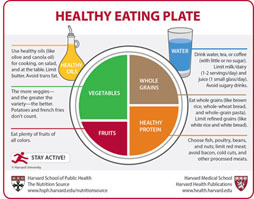 Eating properly - even a nutritious diet that follows the most recent version of the Healthy Eating Plate as recommended by the Harvard School of Public Health cannot give us everything we need to stay healthy. However, a proper diet will give us much of what we need and it can serve as the firm nutritional foundation required for wellness. Dietary Supplements - to ensure we give our bodies assistance to help maintain health. Supplementing means we will have the nutritional support we need to stay well, be energetic and stay mentally alert. Supplements also bring about the intangible sense of well-being that comes in part from knowing that we are getting the many diverse nutrients needed for good health. A healthy lifestyle - including a regular program of exercise and/or physical activity, doing our best to avoid putting on extra weight and generally doing things that are physically and emotionally healthy. It also means rejecting the many self-destructive ‘bad habits’ that can often tempt us, such as smoking, taking unprescribed drugs and overindulgence of many kinds. In summary, nothing can take the place of good medical care and medical treatment when they are required. We believe the goal of wellness can be reached only when all four of the criteria listed above are met, bringing about the priceless balance we call ‘optimal health’. 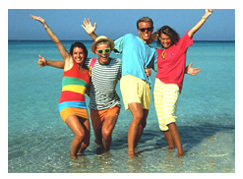 To go to the Site Directory and further explore this site, just click balance.